So, Google has performed the biggest update to its search algorithm since 2001, Hummingbird. Early buzz is that it improved search results already. But here is the real kicker, it was implemented for about a month before Google announced the change! Hummingbird was designed to compete with Siri to further improve voice and mobile search for end users. Google desires to become more mobile so this update will enhance its own voice search capabilities. Voice search is much, much more conversational than typing so these changes reflect Google’s need to be able to search sentences or questions and provide accurate results. If you place well under the Hummingbird with your site, you may see an increase in mobile traffic. How much has Google moved towards voice search? Use your laptop/desktop and visit google.com and see that neat little microphone to use voice search. Then sit back and picture Star Trek. Apart from merely being an algorithm, Google combined its Knowledge Graph with its search results and created a search engine that understands more conversational terms, combined with the location of where the search is coming from. Knowledge Graph for those of you who aren’t familiar with it, attempts to identify and highlight the connections between people, places and what they are searching for. One key feature of Knowledge Graph is that the answers you receive you’d think they were coming from a human rather than an algorithm. That little analogy reminds me of Deep Blue vs Kasparov. Now instead of keywords or keyword phrases of one or two words in length, Hummingbird will analyze search strings of three, four or more words and rather than merely breaking them down will provide results based on the entire string. This means that it is possible that long tail words which are created while writing high quality content for a site will generate traffic. More importantly the long tail keywords will bring searchers to the relevant page or pages in the site rather than just the home page. The Hummingbird update will undoubtedly place much greater emphasis on the authority of the page and the authority of the page author. An important step in this direction is Google’s Authorship mark up. This method links content to a Google Plus profile, which for Google is increasingly becoming the center of any personal online identity. Once the authorship is established the site will gain goodwill from content, articles and website as they are linked to and from reputable sources and shared online by people with authority. This will increase your site’s reputation and increase trust in your sites authority in relevant subject areas. Producing creative and captivating content will continue to have an advantage in the new and changing world of SEO. Marketers have to address this change in authority and content marketing. Website owners need to ensure that their website plays by the rules. By this, no black hat tactics. Hummingbird was designed to further cut down on sites that use black hat SEO tactics. How well this works remains to be seen however. Use naturally generated links and Google Authority correctly and your site will gain a higher ranking in the eyes of Google. 1. Use long search strings. Remember, the updates are moving search mobile and when people are searching mobile they will use questions. “Where can I buy roses?” Content marketers need to understand the intent behind a user’s search in order to ensure the content addresses this need. 2. Semantic searching is here. Any search you run will be dependent on your location, previous search and even social connections. Going are days of stuffing your site with SEO friendly keyword. Google depends on not just the long tail keywords, but what can be found before the search terms and after. For marketers semantic analysis and providing in-depth content will be more important than a keyword strategy, more so since Google has stopped reporting keywords in Google Analytics. 3. Ensure that you are using good, descriptive content and will you be better able to tap into long-tail searches. At is most basic level Hummingbird is forcing owners of website to ask how can I better provide answers to questions that customers are asking when they use Google? 4. When creating an SEO plan remember to focus on social engagement, the site’s reputation and authority by the sharing of content by people with their own authority. Gone are the days of simply having high numbers of shares or likes. Today’s mantra is having an engaged following, sheer numbers have a low relevance factor. 5. Google Plus part of the future. If you do not have a Google Plus profile or page or you haven’t set up your Google authorship, get it down now! By being active in Google Plus sphere, helping answer questions and creating helpful you will increase your Google reputation and by association any site authorship you have. Like every update to the Google search algorithm the funeral bells of SEO are rung. This isn’t the death of SEO it just means that those who are willing to put in the effort to their site will be found on Google. Just remember, there are over two hundred search engines in use around the world. 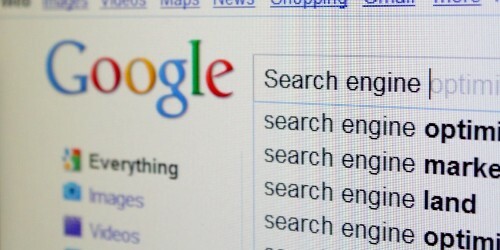 It’s understandable you want to get found on the number one search engine, but not everyone uses Google. Bing has half a billion users. Don’t change your SEO just to fit one model.